Josh is the owner of Appalachian Legacy Funeral Services, LLC and a licensed funeral director and embalmer. Josh is a native of Ashe County. He graduated from Ashe County High School, attended Wilkes Community College and graduated from the Cincinnati College of Mortuary Science. Working with the community is very important to Josh as he is involved with various local civic organizations: Past President of The Rotary Club of Ashe County, Ashe Masonic Lodge #594, Oasis Shriners, and the Ashe Shrine Club. Josh also serves on the Board of Directors for the Ashe County Chamber of Commerce, Ashe County Children's Trust Endowment, and as a member of the Board of Trustees for Wilkes Community College. Being active in the funeral profession, Josh has served as District 10 Director of the NC Funeral Director's Association. He is a member of Union Baptist Church in Lansing, NC. He is the son of Tim and Roxann Rhodes Roten of Lansing, grandson of Lena Sexton Rhodes, the late Gilbert Rhodes and Ilene Lewis Roten and the late J.B. "John" Roten. Josh is married to Holly M. Roten, a Literary Specialist at Mountain View Elementary School and they have a daughter, Lila Katherine and son, Lawson. Josh views his occupation as a calling and pledges to serve each family with the utmost care and compassion. Herb has been a resident of Ashe County since 1975. He has been involved with the funeral business since 1998. 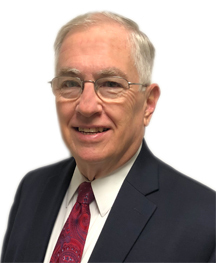 He is a licensed funeral director and licensed agent with Forethought Life Insurance Co. His primary responsibility with Badger and Ashelawn is in the area of advanced funeral planning. Herb is also currently serving as pastor of Grace Covenant Community Church in Jefferson, NC. He is married to Tammy Davis of Lansing and has four children and one grandson. Autumn is a native of Ashe County. She is a graduate of Ashe County High School. Autumn has attended, Wilkes Community College, as well as East Tennessee State University. She is currently studying Funeral Science at Fayetteville Technical Community College, and is currently serving her State Board traineeship for Funeral Directing & Embalming. She hopes to be licensed by January 2018. Autumn resides in Fleetwood with her husband Jonathan. Renita Roten is a native of Ashe County. She is a graduate of Northwest Ashe High School. She has been employed with us since 2000 as an administrative assistant. She resides in West Jefferson with her husband, Danny. She has two children, Brian and Ashleigh. She attends Obids Baptist Church in West Jefferson. Melissa has been employed with us since 2004 as an administrative assistant. She is a native of Ashe County and a graduate of Northwest Ashe High School. She resides in Lansing with her husband, Scott and son, Justin. She attends North Beaver Baptist Church in West Jefferson. Jim has lived in Ashe County most of his life. He is a graduate of Northwest Ashe High School. Jim has been employed with us since 1993 as a funeral assistant. Jim has been a minister since 1977 and serves as pastor of Sugar Tree Baptist Church in Warrensville. Jim and his wife Judy reside in Warrensville. Walter has been with us since July 2007 as part of our cemetery maintenance team. He and his wife, Bonnie reside in Warrensville and have two children and two grandchildren. He is a member of Pine Grove Baptist Church where he serves as a deacon, Sunday school teacher, and the church clerk. Lloyd is a native of Ashe County. He is a graduate of Ashe Central High School. Lloyd has been employed with us since 2001 as a funeral assistant. Lloyd has been a minister since 1971 and serves as pastor of Sturgills Baptist Church in Lansing. Lloyd and his wife, Letha reside in West Jefferson. Kermit is a native of Ashe County and has been with us since 2003 as a part-time funeral assistant. He is a member and Past Commander of American Legion Post #275 in Lansing. Kermit and his wife, Glena reside in Lansing and he is a member of Sturgills Baptist Church. Junior has been with us since 2011 as a part-time funeral assistant. As a veteran of Vietnam, Junior is a member of American Legion Post #275, Disabled American Veterans Post #80, and Veterans of Foreign War Post #794. Before retirement, he was Sheriff of Radford City, Virginia. Junior and his wife, Joyce Cox Taylor and son, Jody reside in Jefferson and are members of Smethport United Methodist Church. Jeff is a native of Ashe County and graduated from Northwest Ashe High School. He has worked in funeral service since 2004 and has been employed with us since 2013 as a funeral and cemetery assistant. Currently he serves as the assistant chief of the Lansing Volunteer Fire Department and is a member of the West Jefferson Church of Christ. His care and compassion make him a valuable addition to our staff. Jeff and his wife Becky reside in Lansing. Gionia is a member of the Badger Family, and has been connected with funeral service all of her life. She currently is a part-time office associate and a member of Mount Jefferson Presbyterian Church. Randy had been with us since 2015 as a part-time funeral assistant. As a veteran of Vietnam, retired from the U.S. Army in 2001. After retirement from the Army, Randy, in 2005 started work with the West Jefferson Police Department retiring there in July 2015. He was a member of American Legion Post #275, Association of Retired Government Employees, and Association of Law Enforcement. Randy was a devoted husband, father and friend. On August 15, 2017, God's finger touched him, and he traveled to that undiscovered country from whose born, no traveler returns.